Many freelancers/gig workers I know move around the house (and local cafes and coffee shops) to work as their laptops and available wifi give them the freedom to do—whether to escape boredom, household noise or get more comfortable or focused. But everyone needs a home base that has all the supplies necessary for maximum productivity—a printer, envelopes, a few paper files, etc. Why not make it the dining room, a space that may only get meaningful use a handful of times each year? Often, formal dining rooms have prime real estate in the front of the house with a view to the street, abundant natural light and a big table where you can spread out your laptop, papers and other tools of genius. Tempted? Here are some things to consider. Even in a digital world, a home office still requires storage for supplies and companion electronics. 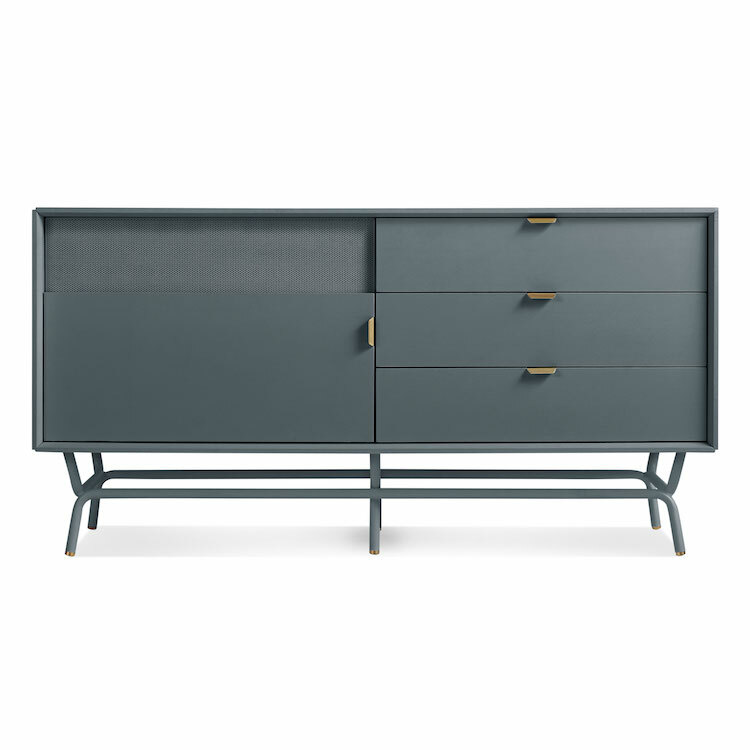 A classic sideboard is actually perfect for this, particularly if it has doors and drawers like this model from Blu Dot. The printer and its attendant cords can hide on one side, and paper, ink cartridges and other office supplies in a drawer. One drawer can be left open for dining room supplies such as candles and linens. 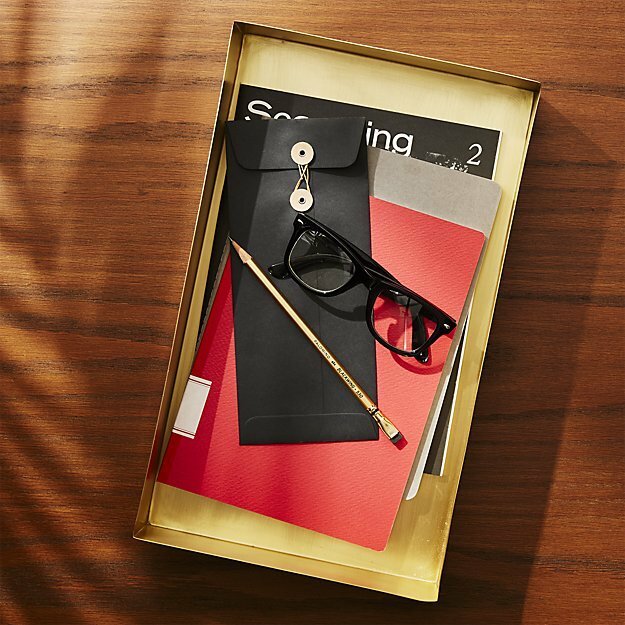 A tray with sides is a smart way to bring out all the office bits and pieces—pencils and pens, scissors, stamps, tape, a stapler, paper clips, etc., and then quickly whisk it out of sight when the dining room needs to assume its other identity…as a more formal place to eat and entertain. Most dining rooms have soft lighting, often from a single overhead pendant or chandelier. That might not be enough for working. 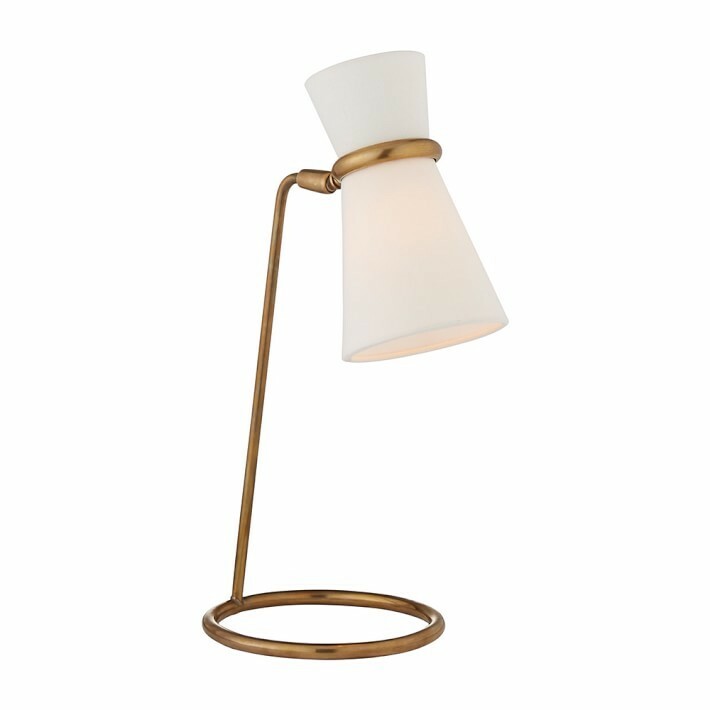 A stylish lightweight task lamp that can move from sideboard to table and back again is a good way to have additional light for working and ambient light (or not) for dining. Most routers have a range strength of 100-150 feet and two walls, so depending on where yours is you may want to relocate it or purchase a plug-in range extender that can boost the reach and give you a strong signal where you need it. Dining rooms, especially in older homes, tend to have precious few electrical outlets. The solution might be as simple as a power strip. 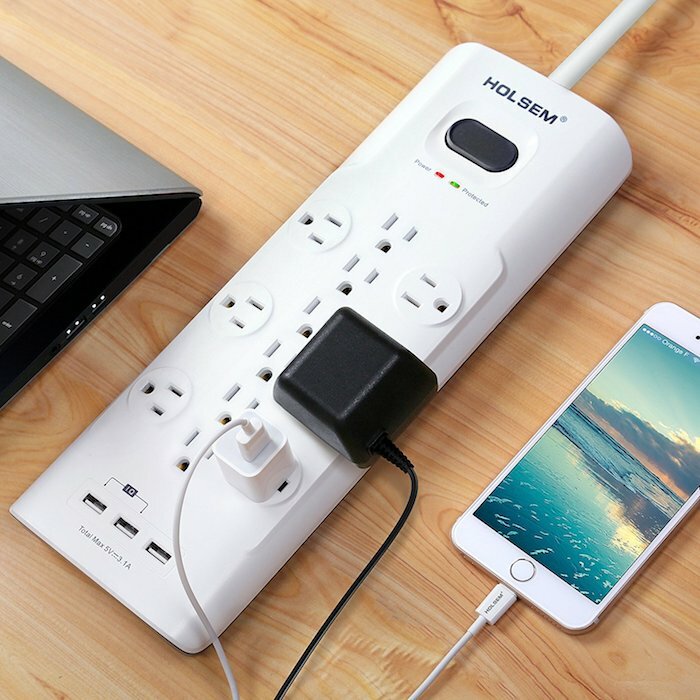 Look for one that has enough outlets for regular and bulky 3-prong plugs, plus USB ports for charging devices. Previous articleCiel Loft and Home Launches Pikka Designs Co.